Some idiot politician wants to ban Germany's top rap artist. German pop star Herbert Grönemeyer goes to court to stop the freedom of the press and wins. Germany thinks of itself as a socialistically progressive country but still it doesn't have a minimum wage. 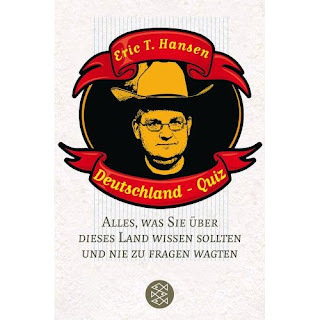 Plenty to blog about, but no time: I am sitting on the final draft of my new book, "Deutschland-Quiz", due out in November (Amazon site here), and I probably won't have time to return to bogging till August. Aloha till then, people.